Prime Minister Ranil Wickremesinghe didn’t mince his words when addressing newly elected members to the Colombo Municipal Council (CMC). He has told them what is expected of them and what is not. ‘Save the city dwellers from Dengue, resolve the garbage issue and keep the city clean,’ he said. Now if any CMC member or indeed anyone elected to any local government authority had to have responsibilities outlined thus, it is sad. However, Wickremesinghe was just warming up, it seems. He quickly moved to what could also be called known-stuff but stuff that few talk about. Stuff related to corruption. He’s correct. We have seen how politicians grow, literally and metaphorically. The tale has been told and retold my cartoonists across many decades. Cartoonists exaggerate for effect but in this case it’s fair depiction. Wickremesinghe has been spared and for good reason. He’s remained lean throughout his political life. Obviously there are those born with the proverbial silver spoon. They came into politics in a Benz car and still drive around in such vehicles. Well, some have expanded a single Benz into a fleet of plush luxury cars. Cars are seen, bank accounts are not. In any event, he’s articulated a problem. He’s not offered a solution, though. If telling people, ‘aney, please don’t steal’ worked, we wouldn’t need a commission to investigate allegations of bribery and corruption. Indeed, we wouldn’t need courts. Judges and lawyers would be out of work. It just doesn’t work that way and Wickremesighe probably knows this. Now we shouldn’t make too much of a cautionary note made by a party leader to greenhorn politicians. We should, on the other hand, talk about the problem which, sadly, neither Wickremesinghe nor his partner-in-governance President Maithripala Sirisena have done little about. Corruption. When Maithripala Sirisena announced that he would contest the presidency, former president Chandrika Kumaratunga said ‘he is the only one in the current regime who is not corrupt.’ We don’t know what Sirisena’s first vehicle was nor what he purchased last nor how. Perhaps Wickremesinghe would know. That’s another matter. 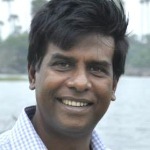 What we saw immediately after he won the election is Sirisena and Wickremesinghe with the obvious approval of Kumaratunga appointing to cabinet those who in their book were corrupt. That was the beginning and that’s not to say that those in the United National Party were squeaky clean. They most certainly were not! We don’t have to list all the wrongdoings of politicians in the ruling coalition. The term ‘bond scam’ would do. There was scam and there was aiding and abetting. Wickremesinghe and Sirisena both know all about it. The first COPE report was scuttled by dissolving parliament. Arjuna Mahendran’s innocence was claimed, the man was defended. The Attorney-General helped by choosing who to attack who not to. Those who were clearly under a cloud were bailed out with new positions. Clearly there are lots of loopholes and Wickremesinghe would know about most of them and also those who used these conveniences. Surely, it’s not only those in ‘other parties’ who moved did the bike-to-Benz number? There are no easy plug-all-holes solutions. The institutional arrangement needs to be fixed. The human resources are clearly inadequate, inept and corrupt. Political interference continues to be a problem despite the 19th Amendment. The Ministry of Law and Order is being treated like a hot potato by the Government, with three ministers being in charge of the subject over the last two months. More than all this, there’s what could be called a cardinal principle in the matter of sanctioning and encouraging wrongdoing. This is how it goes, as was pointed out editorially in a different newspaper about six years ago: if the boss is corrupt, he/she gives a license for corruption to everyone under him/her. If any person down the line is corrupt, it means that either the boss is corrupt or inept. Lots of hats there and people are more than welcome to pick them up. If we have come to a point where newly appointed representatives need to be told ‘please don’t rob’ we are in pretty bad shape. One of the key issues and one which is either ignored or is unknown to the relevant persons is that the primary task of the elected is to represent and the make laws. They are legislators and not executives. 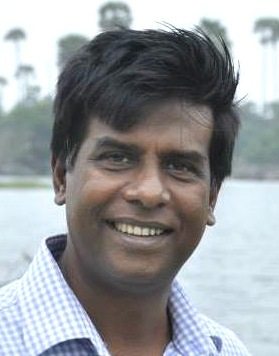 However, the moment the pernicious ‘Decentralized Budget’ was introduced (by a previous UNP government), each and every legislator got the opportunity to play executive in his/her electorate and in most cases without any consultation with other entities, political or administrative, authorized to handle development. When you execute at any point, you tend to forget the legislating function. When you have give people the license to cut corners and make bucks, it is silly to expect them to think of push bicycles and not Benz cars. To put it simply, when you take the village out of the hands of the villagers and put it in the pocket of the politician, you are facilitating Benz-dreams. Wickremesinghe is not doing anything of the sort, but he’s doing nothing to put things right. Asset declaration at arrival and departure is a must. A strong audit commission that can resist political interference is a must. Honesty and integrity are musts. It’s sad that we must mention these things to bicycle-to-Benz politicians. Here’s an exercise for the UNP leadership: conduct a quick survey under two broad headings, ‘First vehicle’ and ‘Current vehicle’. What was it, how much did it cost, how did you find the money, why did you choose it as opposed to something else, are the questions that need to be asked. It’s something all party leaders can do, if they have the courage or the moral authority that is. I like to add the following 2 questions as well. 1. How much did you pay as income tax to the Inland Revenue Department during your political career? 2. What is your total wealth now and what was your total wealth at the time of beginning your political life? What amAzes me is the brazen contempt RWhas for young voters. It is the duty of our leaders to espouse high moral and spiritual standards for the younger generation. Instead of encouraging them to work hard and serve the country , he offers them bribes like gold bracelets, free wi fi, mobile phones. Just glitter dangled before the young impressionable mind. How crass can he get. The man should be banned from holding political office now that his involvement in the bond scam is plain even for the blind to see. One exception of course a man called Shymon who is totally blinded by his adulation for RW. Is it physical, or The awe that some village idiots have for old Royalists, or just plain worshipping the elite?? Malinda Senevirathne: thives and wasters and conmen/women or fradulent politicians had been in politics since 1948. Only a handful had been respectable. Most of the present 225, mostly the presidents, ministers and PMS have proven who they are. the only solution is thinking about a democratic party constitution, selecting proper leaders (the president), no need of a PM (they will back stab each other for the promotion and to retain it), then get some nontaintd politicians to be appointed as ministers in the new govt. OLd coins can be stay in the parliement until they are removed and for making a small govt. Jus tunderstand the 45 nationalist MPs most of whom are corrupt and failed, and 95 or more O/L failed politicians, about their educated contributions. REtired army officers, some of whom have untainted records, they can be considered for those who are leaving. The corrupt structure that has evolved is robust and indestructible. Taking on this monstrosity has got to be non-partisan. Malinda: Can you get the big political heavy weights to do this? By singling out RW you are implying that RW can but does/will not. This is unfair. To the best of my knowledge, RW is the first leader to point out the ease with which the bicycle to Benz switch over occur. In 2015 RW said that Duty Free permits would be issued once in 10 years. In 2016 twenty MPs were found to have sold their permits. What action did their leader RW take? He didn’t even appoint one his famous commissions. There’s a politician who had a black Toyota and a double cab as back up pre 2015 . Today , he has built an additional car yard which houses at least 10 high powered SUV’s . I understand that most of these vehicles are ministry/official vehicles – paid for by the over burdened tax payer . Does he feel any guilt ? I don’t think so . We have been talking about the ill gotten wealth of politicians time & time again. So why not start the ball rolling by asking the President to disclose his (& his family) wealth & the tax returns, at least for the time he has been in office. We can then move on to ex. Presidents & the current politicians. Politicians, Judiciary and Police are the three cancers we have to tackle in the country after terrorism! Basically the nation is being eaten alive by corruption. A few sincere men in power are needed to sort it out but they are still asleep in the cradle. Municipal Councilors can not or should not rob banks…………. Tho0se must be untouched and left for the UNP big wigs only. Raj………. President’s wealth was disclosed recently. USD 14m. Ranil USD 830k sans looted money from CB. Kiriella…………… Hundred and thousands of land. Malinda Senevirathne: If you remember, PResident well in advance told the crowd, may be two years ago during that Paada YAathra of Jackol Opposition, that this govt won’t be able to be toppled until 2020 which meant the elelction will be by 2019 or something else. If RW is sincere about fighting corruption, then give a person like Ranjan Ramanayake a cabinet post and get along with the JVP lads. Can he check the judiciary that Ranjan is talking about ? Why court cases goes on for decades ? Look in to this as well and make it a government policy not to transfer [people from their job which is utterly cruel. Make MPs accessible to voters who elected them, if they do then they must not hide from the voter with a never ending pirith ceremony. Why court cases go on for decades? Those cases that go for long periods are civil litigation which requires a great deal of evidence to establish ownership,possession, inheritance, shares of inheritance etc. Sometimes even in criminal cases cases have to be postponed due to witnesses not being available, forensic evidence not ready etc etc. If justice is to be dispensed fairly every aspect of the issues involved have to be thoroughly examined. Unfortunately there is no such thing as “fast”or “quick”justice as there may be a denial of justice. As a result. Well if political opponents are to be penalised in the name of justice, then you may as well get rid of the courts, have govt appointed tribunals and persecute yourpolitical opponents. This is exactly what Yahapalana is trying to do.Deny justice and create special courts with stooges like Gihan Kulatunga appointed to persecute political opponents.The risk here is that it can backfire! If it does the result will be something else!